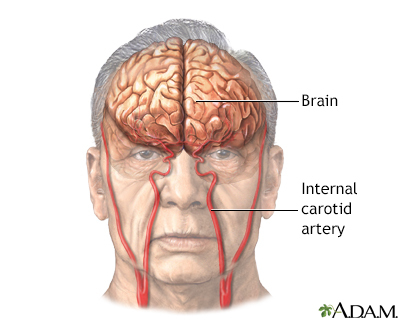 A stroke involves loss of brain functions caused by a loss of blood circulation to areas of the brain. 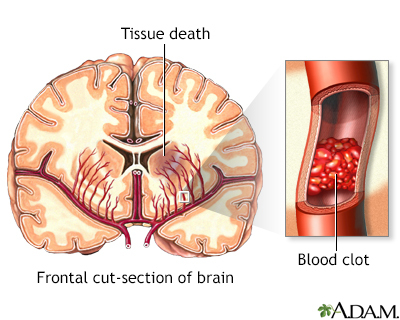 The blockage usually occurs when a clot or piece of atherosclerotic plaque breaks away from another area of the body and lodges within the vasculature of the brain. 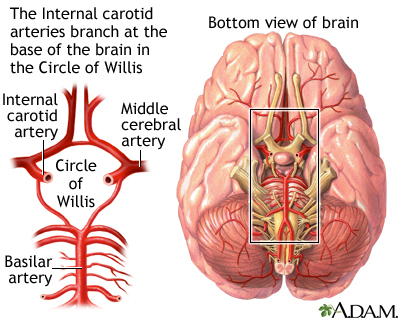 A stroke affecting the brain stem is potentially life threatening since this area of the brain controls functions such as breathing and instructing the heart to beat. Brain stem stroke may also cause double vision, nausea and loss of coordination. 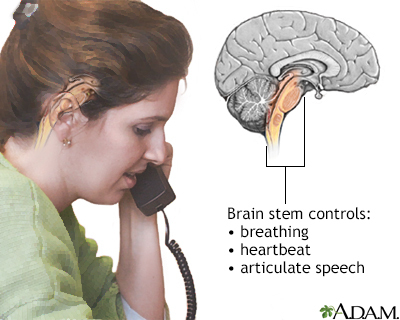 The brain stem also controls less essential abilities such as articulate speech. 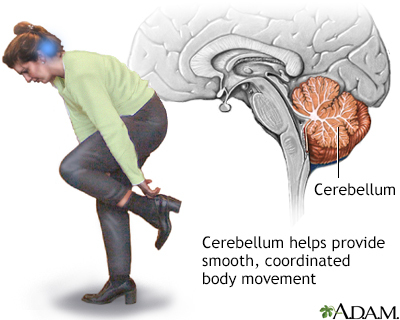 The cerebellum processes input from other areas of the brain, spinal cord and sensory receptors to provide precise timing for coordinated, smooth movements of the skeletal muscular system. A stroke affecting the cerebellum may cause dizziness, nausea, balance and coordination problems. The left cerebral hemisphere controls movement of the right side of the body. Depending on the severity, a stroke affecting the left cerebral hemisphere may result in functional loss or motor skill impairment of the right side of the body, and may also cause loss of speech. The right cerebral hemisphere controls movement of the left side of the body. Depending on the severity, a stroke affecting the right cerebral hemisphere may result in functional loss or motor skill impairment of the left side of the body. In addition, there may be impairment of the normal attention to the left side of the body and its surroundings. Stroke is defined as a loss of brain function due to blocked blood circulation to the brain. 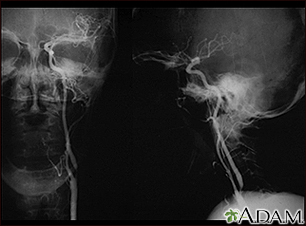 Strokes may be caused by a narrowing, obstruction, or leak in the lining of the carotid. 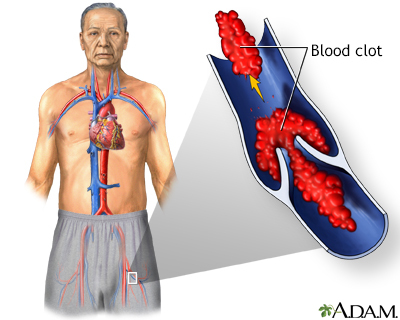 This leaking of blood into the artery wall (dissection) may cause a clot to form, reducing blood flow and raising the risk of a stroke. The leak may arise from an injury to the neck, which means stroke secondary to carotid dissection may occur in young people as well as older people.